With building regulations and the need for the feel good factor WE CAN TAILOR MAKE SYSTEMS FOR YOUR NEEDS. They can be stand alone systems extracting stale air and supplying fresh air or can be built into heating and cooling systems. Heat recovery when the supply and extract air pass each other in a heat exchanger can have energy savings of up to 70%. Again energy efficiency is as ever important. In the relentless drive for greater energy efficiency in buildings the new Building regulations part " L " and part " F " recognise a healthier working environment. New commercial buildings will have to demonstrate compliance with the new requirements. 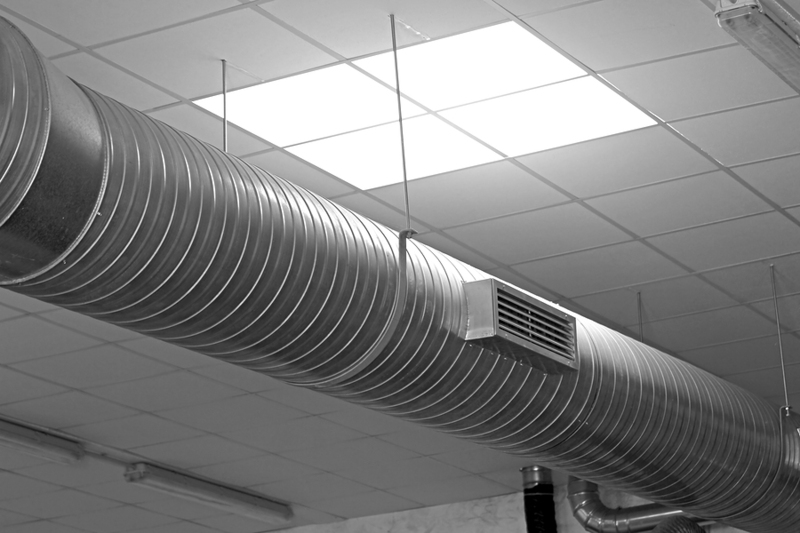 We can arrange the cleaning of your existing duct work by a specialist duct cleaning company, who we regularly use on our projects. From a kitchen extract system to multiple floors of duct.